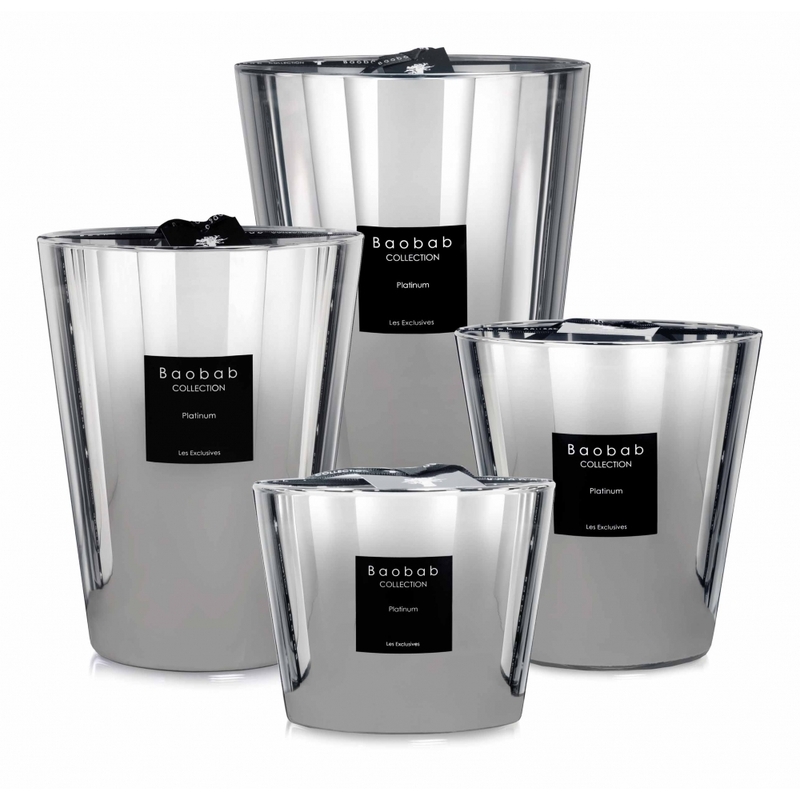 The Platinum Candle from the Baobab Collection will add a sophisticated air to a living or dining space. Regarded in industry as the most exceptional quality candles in the world, the signature base notes of sandalwood and cedar will perfume your evenings for up to four hundred hours. A refined and masculine style fragrance, the Platinum candle is infused with top notes of amber and sweet grapefruit. The hand-poured wax features four Egyptian cotton wicks for even burning. Presented in a beautifully crafted, silver stainless steel case, the platinum max candle will make a striking centre piece on a coffee table or sideboard.